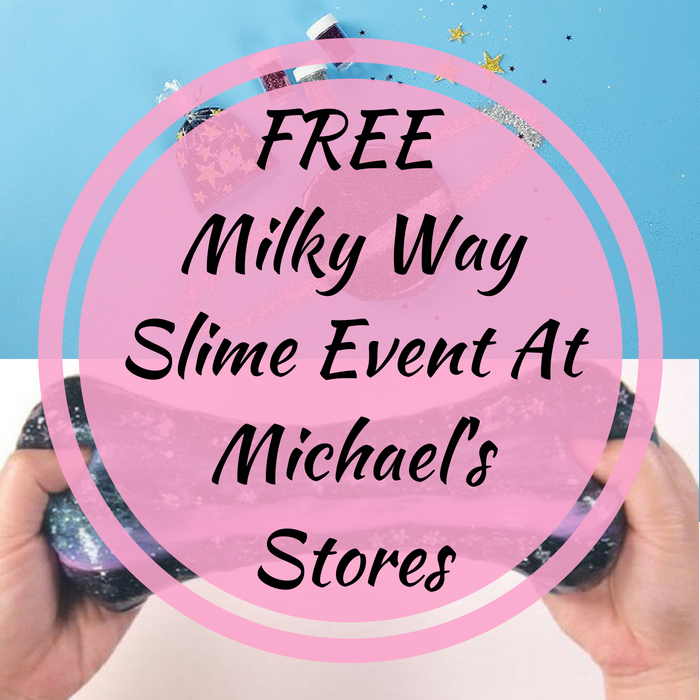 FREE Milky Way Slime Event At Michael's Stores! You are here: Home / FREEbies / FREE Milky Way Slime Event At Michael’s Stores! FREE Milky Way Slime Event At Michael’s Stores! On July 7, from 1PM to 3PM only! Head over to your local Michael’s Stores where your kids can take part in their FREE Milky Way Slime Event! All supplies will be provided, including the premade slime. Even better, your kids will be able to bring their slime creations home. Sounds fun? Don’t miss it!